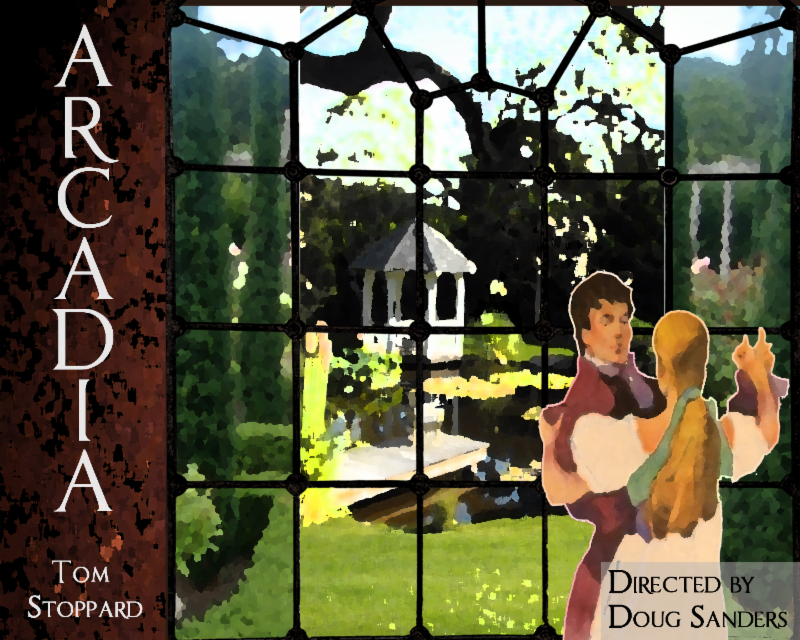 Auditions for our fall production of Arcadia by Tom Stoppard are Sunday, August 26th and Wednesday, August 29th from 7-10pm with callbacks on Thursday, August 30th. Stage Direction will be by Doug Sanders and the production team is ready to get working on this great show. All we're missing is a cast! Please see the website for full audition information including character sketches and details on how to sign up for an audition slot. Hope to see you there! 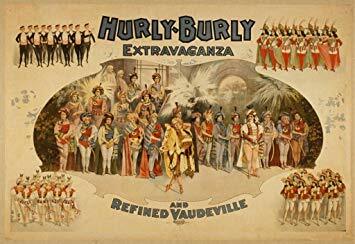 The Hurly Burly Vaudeville Extravaganza, a fundraiser event for the Access 51 campaign, will be held on Saturday, January 12th 2019. Join us for an evening spotlighting the many talented folks who perform on the stages here at 51 Walden. Stay tuned for more information on how you can participate. In beginning to set the stage for the Players' 100th anniversary, the Play and Director Selection Committee is very pleased to welcome and introduce its newest member, Katie Alexander. She is taking the position vacated by Jay Newlon, as he once again dons the heavy mantle of President of the Concord Players. Katie has tried a little bit of everything over the course of her theater life, including set building, spotlight operating, costuming, and run crew, eventually working up the courage to perform onstage, and finally finding her love of choreographing and directing. For the Concord Players, Katie choreographed The Producers (DASH nominee) and Spamalot, and was seen onstage in Dirty Rotten Scoundrels. Other favorite companies for which she was choreographed include Windham Actors Guild, Colonial Chorus, Flyleaf Theater Company, Spotlight Playhouse, and Woodland Theater Company. She has also tried her hand at Assistant Directing with Flyleaf Theater Company and Carlisle Public Schools. Before moving behind the scenes, Katie could be primarily found dancing in the ensembles of many musicals including Anything Goes (Quannapowitt), 42nd Street (Mystic Players), and Chicago (ACT). Her favorite onstage roles include Marcy Park in ...Spelling Bee (Theatre III) and Tess in My Favorite Year (Colonial Chorus). She is an ongoing member of Voices of Hope, a performing arts non-profit that raises funds for cancer research. Katie has studied and taught many forms of dance, including tap, swing, ballroom, and tumbling through various dance studios. She holds degrees in accounting and psychology, and spends her days taking care of her two young daughters. Continuing members of the PDSC include Laura Gouillart, Carly Evans, Tom Sullivan, Jenn Bubrisky, and Craig Howard as Chairperson. A little less than two weeks ago, The Concord Players lost one of their long time, treasured, active members. 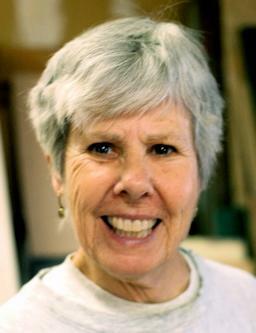 Sally Bull has been involved with the Players since the 1970s. The list of plays under her name on the Players website doesn't begin to tell the extent of her involvement and love for this organization and for all of the organizations that inhabit 51 Walden. Her death comes as a stunning shock to all of us who knew her and worked with her. She most recently was involved with her usual front of house activities during performances of The Hunchback of Notre Dame this past Spring, followed by helping the Concord Orchestra for their annual Pops concert. She has been part of the backstage crew on so many of our productions, done props, set dressing, co-stage managing, producing, tech suppers, and most recently and for many years, has been the go-to person for signing up ushers, house managers, purchasing refreshments, helping at intermission, and most importantly, being a valuable greeter of the public as we open the doors for our performances. She was also the one who came in the morning after to vacuum, pick up programs and other debris from the floor of the hall, replace seat numbers, and generally make sure everything was ready for the next event. She was, indeed, "The Queen of Front of House". For a number of years, she was the early official coordinator of our subscribers which, at the time, numbered 1200. There were no computers in the early 1980s, so she managed them by hand from a table in her home in Carlisle. But there's so much more. She had a large, inclusive, and extended family, and she organized family reunions each year. Since 1997, she co-organized theatre tours to London and the UK. She traveled the world, sharing rented houses with friends in England and France, family gatherings to Turkey and beyond, walking tours to Italy, Greece, Crete, the Azores, Croatia, and lately cruises to Russia, the Antarctic, Australia, and Europe. She was generous, caring, loyal, and helpful in everything she did, including bringing lunch to the set construction crew and getting the Players' mail every day. She was positive, enthusiastic, and smiling as she went about her life. She was the epitome of Sunshine and Flowers, and she will be sorely missed. A celebration of Sally's life will be hosted on Sunday, August 26th at 11am at 51 Walden. Over 60 theater companies, including the Concord Players, will come together on one night to share information, schedules, and offerings for their upcoming theater season. Many will be offering discounts, promotions, prizes, and giveaways! 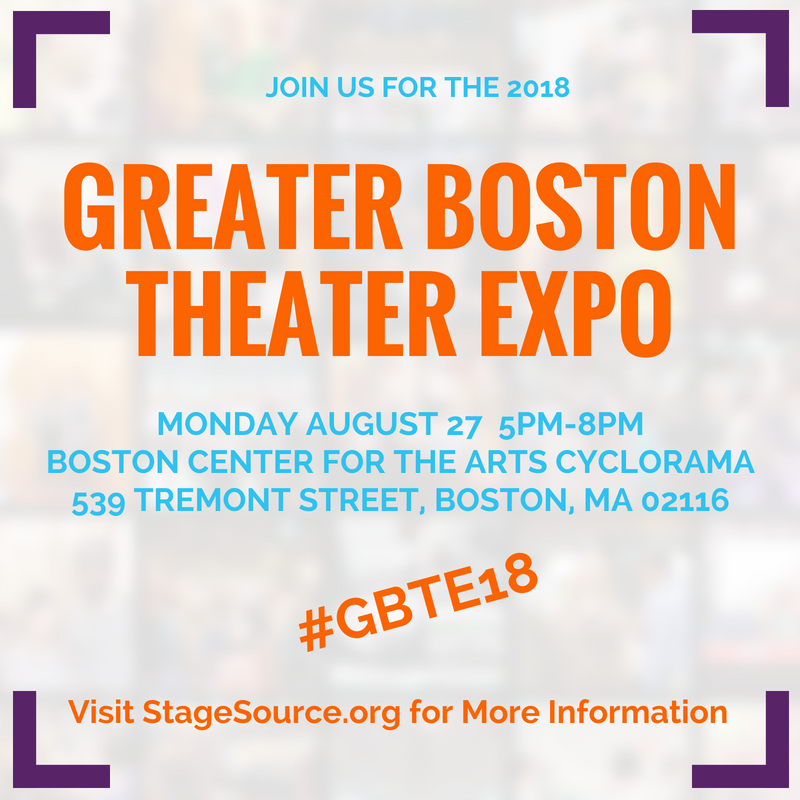 The Sixth Annual Greater Boston Theatre Expo offers you a free, convenient, and efficient way in an Expo-style/marketplace setting to check out theater productions from your favorite companies and lets you explore new organizations. With over 60 companies spanning the Greater Boston region, you can collect brochures, information, meet representatives from the companies and local theater artists, and take advantage of Expo-only special offers, one-day deals, and promotions for attending. While proud of every show, cast, and crew member, the Concord Players is thankful for their fifteen 2017-2018 DASH nominations! Congratulations to Hannah Clifford (Best Supporting Actress - Noises Off), Barbara Douglass (Best Supporting Actress - Noises Off), Brian Harris & Allen Bantly (Best Set Design - The Hunchback of Notre Dame), Allen Bantly (Best Set Design - Noises Off), Brian Harris & Charlotte Kelley (Best Set Dressing - The Hunchback of Notre Dame), Adam J. Leavitt (Best Supporting Actor - Noises Off), Bob Pascucci (Best Sound Design - The Hunchback of Notre Dame), Rick Shamel (Best Lighting Design - The Hunchback of Notre Dame), Charlie Atherton & Cheri Fletcher (Best Make-Up and Hair Design - Noises Off), Charlie Atherton, Karen Burum, & Marc Capizzi (Best Make-Up and Hair Design - The Hunchback of Notre Dame), Kathy Booth & Pat Kane (Best Costume Design - The Hunchback of Notre Dame), Paula McNabb (Best Stage Management - Noises Off), The Cast of Noises Off (Best Ensemble Performance), Brian Kelly (Best Direction - Noises Off), and The Cast and Crew of Noises Off (Best Production). Membership Renewal: Membership renewal letters have been mailed out. If you did not receive yours or you are not currently a member and would like to be, please email Corinne at corinne.kinsman@gmail.com . Women in Jeopardy: CP member Paul Murphy will be directing the off-road comedy Women in Jeopardy at the Burlington Players. Auditions will be held August 27 and 29. Six great parts for women and men. Show runs November 2-17. Visit www.burlingtonplayers.com for more info. 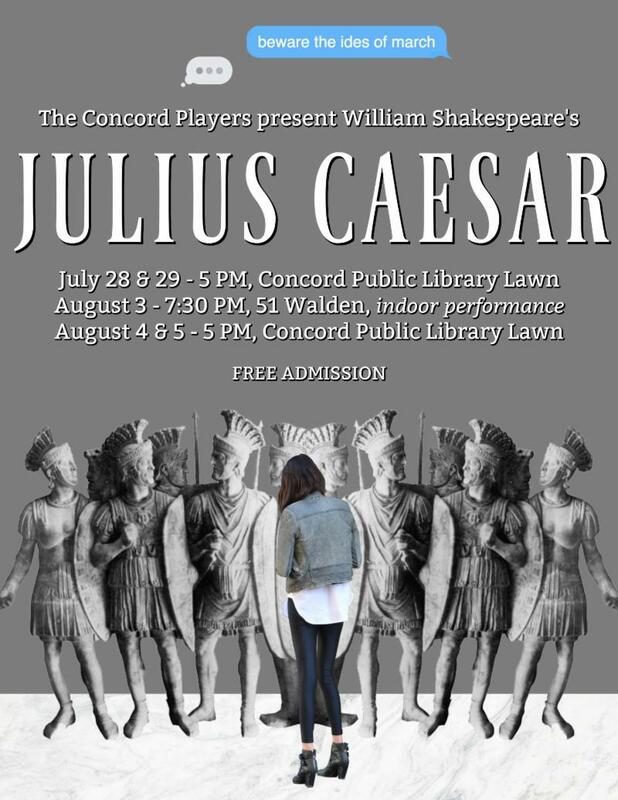 The Concord Players will perform Julius Caesar (condensed), by William Shakespeare, at 51 Walden on August 3rd at 7:30pm. Admission is free. The play is also being performed on August 4 and 5 at 5pm on the lawn of the Concord Public Library. See the Concord Players website for full details. August 10-11, 2018 at 7 p.m. Little Women: Sister Stories, a ballet performed by Turning Key Dance in conjunction with the Orchard House celebration of the 150th anniversary of Little Women. The performance honors the novel through the lens of contemporary dance, generating movement from the pages written by Louisa May Alcott. Reception immediately following with light summertime refreshments; Little Women merchandise from The Museum Store at Louisa May Alcott's Orchard House available for purchase. Tickets $10 per person (ages 6 and up), $30 family rate (2 adults + 2 youths; $5 per additional child). Purchase online. August 15, 2018 at 7:30 p.m. 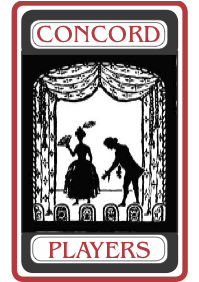 The Savoyard Light Opera Company presents a musical review, Give My Regards to Broadway. Free admission. 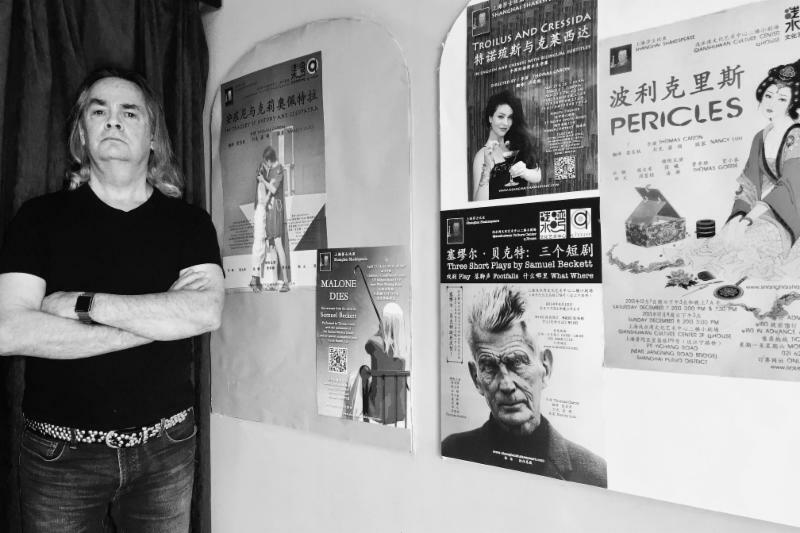 August 18, 2018 at 8 p.m. Thomas Caron, the founder and artistic director of Shanghai Shakespeare, will perform the theatrical adaptation of Samuel Beckett's novel, Malone Dies, in its American debut at 51 Walden. From 2002 to 2007 Thomas was the artistic director of The Town Cow Theater Company of Concord, presenting free outdoor productions in Anne Chamberlain Park. Thomas directed the Concord Players' 2003 production of Twelfth Night, played Leroy, the misfit handyman in The Bad Seed, co-produced The Memory of Water, and directed a Shakespeare Workshop that presented scenes from Hamlet. He received his training at the hands of the 20th century's legendary teachers Sanford Meisner, Harold Clurman, and Robert Lewis. His career extends over fifty years, on stages from LA to NY to the UK to China. Caron first read Malone Dies in 1978 and recalls that "it immediately struck [him that Malone Dies] would make a great one-man show." Portions of Malone Dies had been incorporated in stage adaptations of Beckett's prose before, but, according to Caron, "as far as I know, the novel has never been adapted for the stage on its own. [By 2007, for] nearly forty years, I repeatedly reread the book, puzzling how to best connect my favorite passages into a coherent piece for the stage - to no avail." Two years ago, he found the solution he had so long sought. He contacted the Beckett Estate and received the Estate's permission and blessing. On August 18th at 8pm at 51 Walden, Malone Dies will have its U.S. premiere at the Concord Players. As part of the year-long fundraising effort in the 51 Access Capital Campaign, tickets will be $20 at the door.